1. I rarely go to the NT and fail to find encouragement for the day. 3. I am about to finish a 6 month reading of the NT and what I find completely missing is the demand for rights and freedom. 4. How is it only Thursday? 5. Listening to my wife sing along with a new record is the best. 6. Still amazed at how many people I know that are experts in foreign policy and European economics. 7. 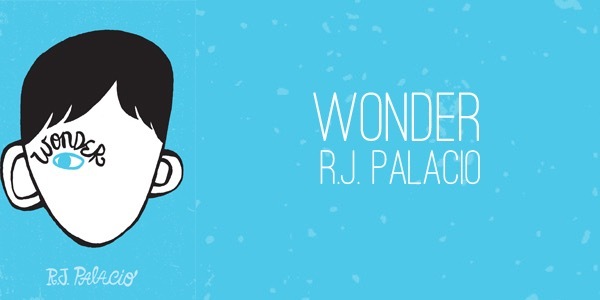 Wonder is a painful read because of memories held tightly on a string to the past and experiences anchored in the present. 8. The only thing worse than vapid, intellectually-void expressions of faith on social media is elitist snobbery refusing to see the best in those, who are just as much part of Christ’s body, the Church. 9. I need a vacation like a fat kid needs cake. 10. I’m looking forward to the 4th so I can eat hamburgers wrapped in lettuce. Yep, I said it. 1. The Bible is completely foreign to modern culture for two reasons – it portrays our rebellion against God as our biggest problem and it was written to people in the context of suffering. 2. The evidence that our culture values the lives of famous entertainers more than the commoners? Whenever someone famous dies this year, watch. You will see posts on social media about how 2016 keeps taking people away. What an upside down world we live in. We should grieve more over the plumbers and nurses. Teachers and preachers. 3. The other night Bethany made Brussel Sprouts with bacon and it blew me away. I don’t even know me anymore. 4. By definition, repentance can never be self-congratulatory. 5. I ate pizza a few days ago, after going more than 30 days without. Like lovers once separated by an ocean, we were reunited. 6. I am amazed at how many people in my social media feeds cared nothing about #Brexit until after it was decided. Then everyone had strong opinions. Now Orlando is a thing of the past. What will you become so intensely passionate about tomorrow that will help line the pockets of the news organizations? 7. Two years ago this week my mom swung from star to star into eternity. I miss talking to her and her joy with my kids. I miss her easy tears and seeing how she missed my dad, even. There is a grief you can read of in a thousand novels and never know until you feel the need to call them but there is nowhere to call. 8. I am not a gun owner. I have no desire to own a gun. But I do not think gun control will solve the problems of violence that ravage our nation. 9. I am thankful for the grammar police. They push me to be more rebellious in sentence structure. And they make want to bust the bonds of punctuation rules. Often. 1. One of the most profound joys (if not the most) of the Christian life is when, by God’s grace, you are able to take him at his word and believe you are not condemned because of the cross. 2. 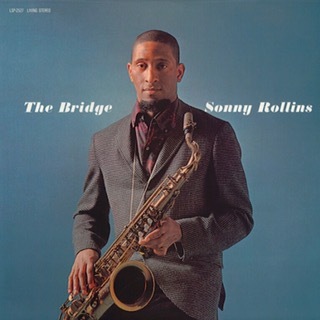 My newest vinyl is The Bridge by Sonny Rollins. Straight from 1962. I have a number of jazz records but this is my first brand new one. And I cannot get over the sound. 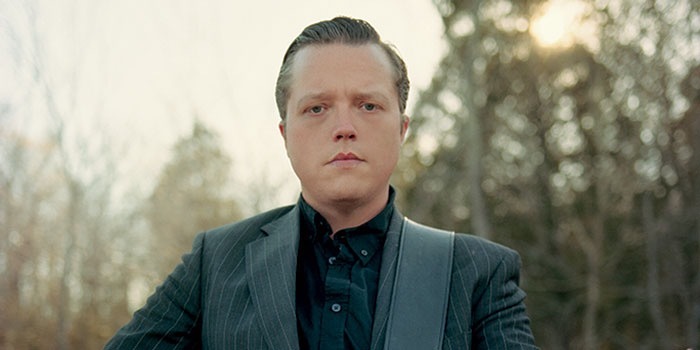 His tenor sax sounds like a voice. And Jim Hall’s guitar is one of the most beautiful sounds I’ve ever heard. I can’t get over it. 3. Since we started this diet, I’ve read three books. Before, I couldn’t stay up night and read. Two pages and I was out. But since we started this diet, I’ve been able to read like I used to, at least a book a week. 4. I believe the sum total of the Christian life is summed up in, “Don’t be afraid. Believe the gospel.” The fight against fear is not tertiary but central. 5. Everyone believes in the complete sovereignty of God over all things. You can deride Calvinism all day long. But as soon as you ask God to save someone from their sin, you believe he can change their will for their good. And as soon as you ask God to heal a person from cancer, you have acknowledged he can and had the power to stop them from getting it, but didn’t. 6. I have in the past made fun of people who worried about all the ingredients in food. That ends now. A couple of weeks ago our youngest son’s stuttering problem got to where he couldn’t hardly talk. We were frustrated. He was frustrated. We started trying to figure out what had changed. We noticed it coincided with some chocolate milk and Popsicles we had bought the kids. Bethany researched a common ingredient and learned enough for us to not let the kids have anymore. Within a few days, his stuttering improved. Two weeks later? We cannot believe the dramatic difference. He will deal with stuttering like me for the rest of his life but we will avoid that ingredient like the plague. 7. There is nothing our governing authorities can do to stop God’s sovereign plan for his people. 8. I do miss pizza so very much. 9. Fantasy team is terrible. Cardinals are struggling. Long season. 10. If I do not keep the hope of heaven in front of me, the thought of my death and the death of those I love and the fact that it will happen for all of us, overwhelms me with fear and despair. But when I remember Jesus is making all things and there is no end to that hope, I can stagger out of that despair. 1. Paul tells Timothy that prayers are to be made for all people, even for kings and everyone who is in a high position, “that we may lead a peaceful and quiet life, godly and dignified in every way.” I keep reading these words and walking away with the idea that we should shut up about our leaders unless we are praying for them, so we can lead dignified lives. 2. I don’t want to finish the Wendell Berry novel I’m reading. 3. When grace overtakes, we look for reasons to love and admire others, even when their sins are glaring and offensive. One, because we know our own sin. And two, because we were and are loved despite our sins against God. 5. It is no irony that I will start a study about “fear and worry”with the Sunday School class I teach and I find myself having to deal with fears about the study and the class itself. 6. The humidity has been so thick the last couple of days you could cut it with a knife, which is good because because I can have a slice of humidity on this diet. 7. A Christianity without a God who is angry at sin and sending people to hell, is of no use at all. It empties churches. It hollows out souls. And is easily replaced by temporary cares. 8. Miles Davis’ Porgy and Bess on a Saturday Morning. 9. I’ve been wondering if sin can be loved. Not it’s benefits or the pleasure it brings but the sin itself. Is our or anyone’s affection for sin ever “love?” I cannot help but think it cannot be loved. Sin can be pursued with great passion, but true love is reserved for whatever conforms to the glory of God, himself. So, even when those who do not believe in God, when they love they are living out the reality of their being created in his image. And I assume this, even when they are sinning. 10. I have begun to have weird dreams while on this diet. And the other night I had a powerful dream about reaching our for beauty. Beauty, not as the world sees it in photoshopped, liposuctioned, starving models on the cover of magazines, but beauty like Wendell Berry’s descriptions of the woods and Paul Desmond’s alto sax. Billie Holiday’s aching voice. 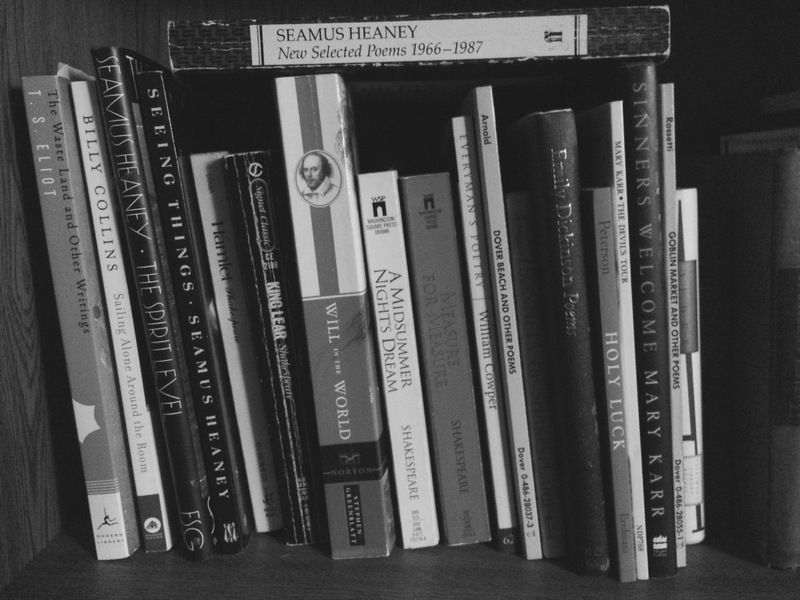 Seamus Heaney’s lines. I couldn’t get over it in the dream. It has held over in my waking hours. 1. It is true, one day we may be the subject of ridicule. And to admit you are a follower of Jesus will invite derision. This may happen. But there will also be the joy of meeting another believer and the thrill of comfort in that reverse echo of the day in which all our sorrow and tears will fade into the tears and the rest of all that has been hoped for. 2. The NT is incomprehensible to America because we are consumed with avoiding suffering at every point and the NT was written in the context of suffering and to a people whose joy was anchored in being saved from the wrath to come. 3. I do prefer rising at dawn and drinking coffee over sleeping late. 4. Paul never mentions the Emporer by name in his letters. Nor do the other NT writers. It’s almost like it didn’t matter who it was. 5. So I’m reading Andy Catlett by Wendell Berry and it takes place in 1943. Andy is nine years old. And I just realized that is the exact age my dad was in 1943. 6. Reading poetry out of a physical book is an act of rebellion in our culture so obsessed with entertainment full with lights and sound. It’s an act, once normative, now rare. 7. The older I get the less I want to level the rough terrain of the Bible. I want to sweat through the climbs of difficult passages and feel the chill of those that expose me to the elements of my own failings. I want to be offended by its lack of modern taste and propriety even if it means I’m alone for a time. 8. To be thankful and content with what God has provided, while desiring something else, is about as hard a thing as possible. 9. Another effect of the whole 30 diet is reorienting your taste buds to taste food without sauces added. I still long for sugar-laden BBQ sauce. But am enjoying food differently also. 10. I love sitting alone in the quiet of an early morning but better is sitting in the quiet with Bethany.